Settle in here just before the summer and enjoy the back deck that overlooks the neighborhood playground and no backyard neighbors! Split level offers 3 bedrooms and a bonus. Home has all new flooring throughout, new interior paint (goodbye to all that wallpaper! ), brand new stainless steel appliances, new motor in garage door, new water heater, maintained HVAC with new compressor coil in upstairs unit and tons of natural light! 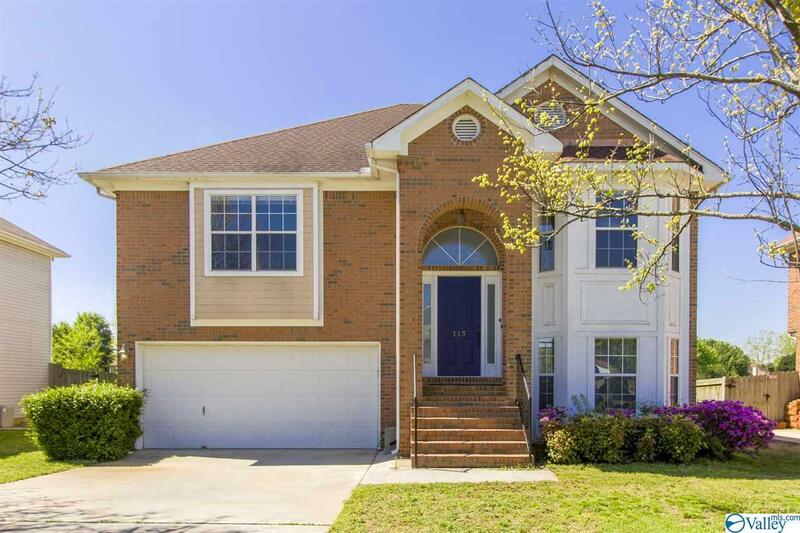 All of this is centrally located, in Madison City schools, and has a walking trail to Target!